Pokeshot marketing manager Christopher Böckelmann chats with new CTO Nils Drews. Hi Nils! You’re the new Chief Technology Officer at Pokeshot. I hear that you’ve implemented projects for Pokeshot before in a freelance capacity. Is that true? Yes, that’s correct. I’ve been involved in Pokeshot projects before – like you said, in a freelance capacity. But since the beginning of July, I am now a full-time member of the team and am focusing entirely on Pokeshot. 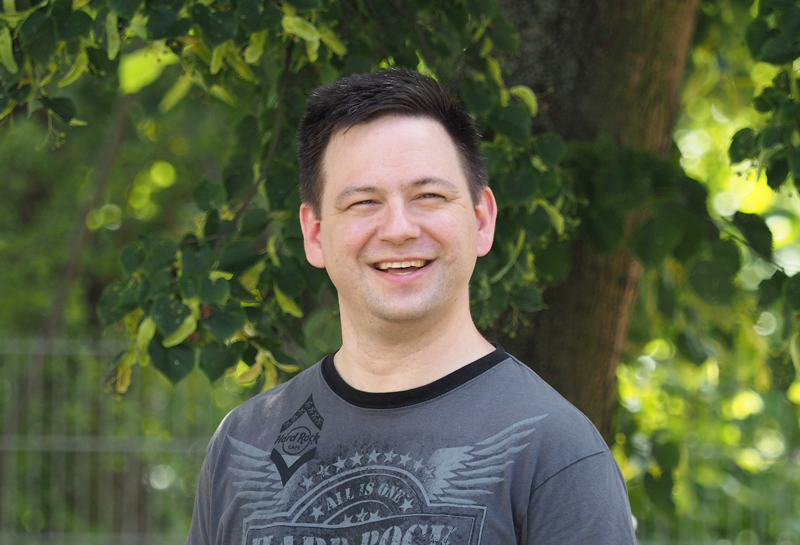 You are taking over from our former CTO Marcus Thormählen. What does this change mean for you and the team? I’m heading up technical management of Pokeshot’s solutions ‒ including its product operations ‒ and am trying to maximize development potential. That means that I want to give the developers a framework in which they decide for themselves how to develop the product and Pokeshot projects, while I ensure the long service life of both. So basically I set the goals that the developers then implement within their framework. What about contact with the customers? I am Pokeshot’s technical face to the customer – so when things become more technically complex, I am there to define and implement the requirements and solutions with you and/or to communicate these to the team. Working in cooperation with both the customer and the team, I’m involved in creating the software that helps implement the customer’s goals. Another aspect is planning and quality management. I am responsible for ensuring that what we deliver to the customer meets certain quality standards and is easy to maintain and future-proof. Looking at your résumé, it’s clear to see you have a lot of IT experience. Can you tell us a bit about your background? I started out studying applied computer science with a minor in physics at the University of Augsburg. After finishing my studies, I gained my first professional experience at Inxmail, where I worked for a total of five years. I began as a developer, then also worked in product management, and finally I was team leader in software development. After my time at Inxmail I moved to Jive Professional Services where I stayed for seven years, working my way up to staff engineer. This was another exciting and very formative time for me. At the beginning I did everything myself, later I managed small teams that carried out implementations for customers – including some for Pokeshot. Eventually I worked as a technical expert and was responsible for many projects running simultaneously. Now, I am looking forward to new challenges at Pokeshot. Wow, that sounds great! It’s good to hear that you are a real expert in your field. The last question I have for you today is: What do you do outside of work? I am a total family man, so I spend a lot of time with my wife and two children. I used to practice Shotokan karate – which I’m going to try to get back into soon, because it was a lot of fun. Otherwise, I like to read a lot and often play board games in which you play as a team against the game itself. Great! Thank you very much for the insight and the nice chat.